24 weeks with a boy and a girl, at 25 weeks I am measuring 9 weeks ahead! Is that normal!? I don't know how much further I will make it, already having contractions. 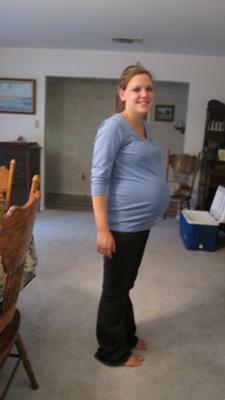 this is my picture and I had my twins at 34 weeks and 4 days. They were in the NICU for 2 and half weeks but did awesome! Just be prepared for your babies to spend some time in the hospital and know that they will be fine. My twins were born at 4lbs 12 oz and 5lbs 2 oz on Nov 11th and now they weigh 8lbs 8oz and 7lbs 7oz. They are 7 weeks old! I'm 24 weeks and 3 days pregnant now woth boy/girl twins.. I measure 10 weeks ahead so I assume it's normal... My dr hasnt said anything bad about it.. just that babies are healthy... So good luck!! !